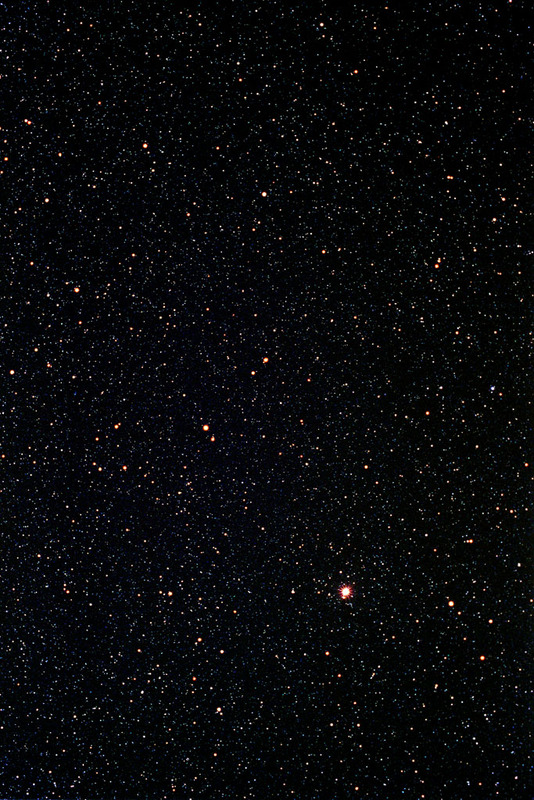 The field of the constellation Bootes fills the entire photography (see lines). To find this bright constellation in the sky you should follow the two front stars of the tip of big dipper's grip. In mid of May Bootes culminates at about 23:00 LT (11 pm). The declination of the constellation borders ranges from +7 to +55 degrees. 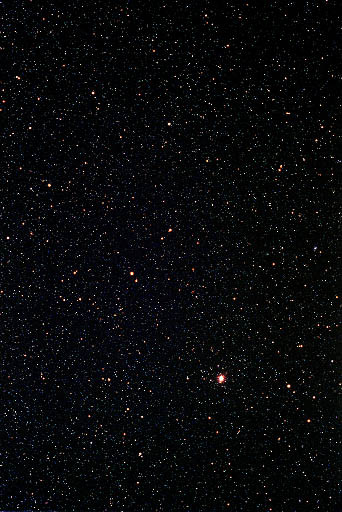 Brightest star is Arcturus, a red giant of visul magnitude -0.06 mag. Galactic deep sky objects are the globular clusters M 3 and NGC 5466, whereas M 3 belongs to the neighboring constellation of Canes Venatici and not Bootes. The galaxies in this field are too faint and small to be identified on the above wide field photography.